On Christmas Eve, a traveler finds himself waiting out a snowstorm at the Holly Tree Inn. While passing the hours for the weather to pass so his coach can continue on it's journey, the warm hearth of the inn brings his mind to roam to pass recollections, both happy and grave. He also ponders the true meaning of his current journey and reason for his melancholy... the woman he planned on marrying is, instead going to marry his best friend. However, the delay at the inn is about to bring him a miraculous discovery. 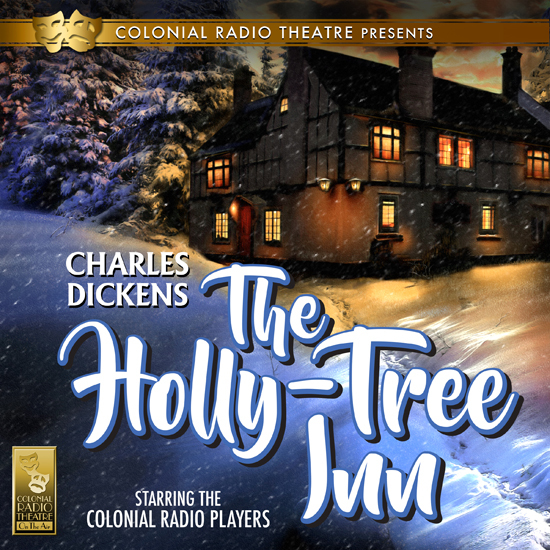 With a full cast, sound effects, and a majestic score by Jeffrey Gage, THE HOLLY TREE INN is the fifth Dickens Christmas story to be produced by the award winning Colonial Radio Theatre on the Air. 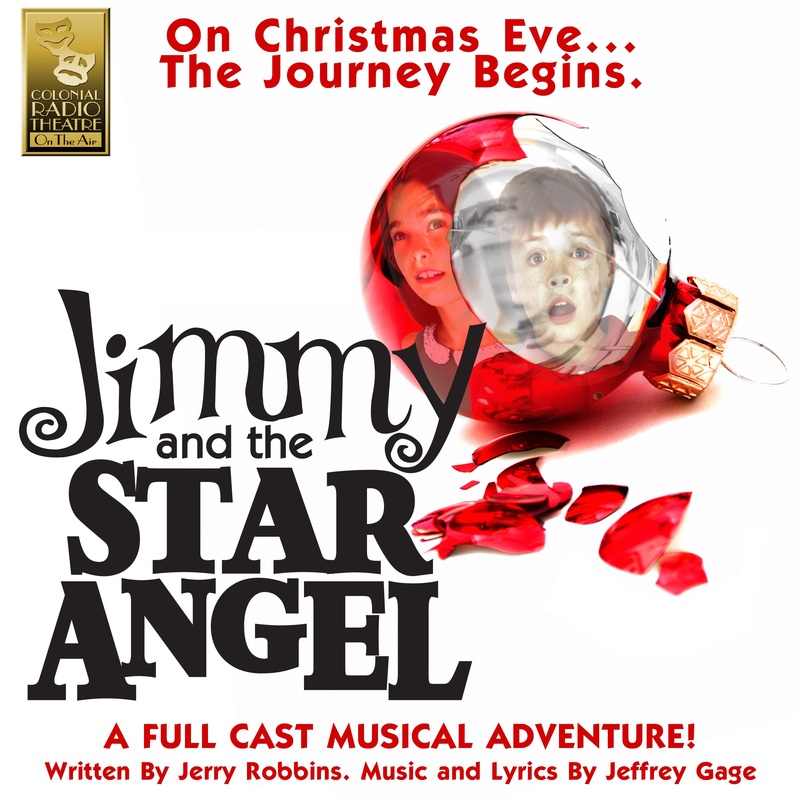 Dramatized for Audio by Barry M. Putt Jr.
Jimmy and his sister Samantha are celebrating their first Christmas since the death of their father. While Samantha embraces the holiday spirit, Jimmy is filled with apathy and indifference over the season. On Christmas Eve, after Jimmy breaks one of his father's ornaments, a strange force shrinks both he and his sister down to ornament size. On the lowest branch, they meet an Old St. Nicholas ornament who explains that the Star Angel, residing at the very top of the Christmas tree, alone has the power to return them to normal size and must do so before sunrise, when the magic that brings the ornaments to life will fade away, turning Jimmy and Samantha into ornaments as well. With the aid of the Cookie Dough Man '66, Lighthouse, Sheriff and Pockets the tramp clown, they embark on a journey to the top of the tree. Determined to stop them is Scrimshaw, who has vowed revenge against Jimmy for dropping him on the floor and causing him to break, only to be glued back together again, and forever banished to Empty Side. It becomes a race against the clock to reach the top of the tree as Scrimshaw and his hideous, disfigured army from Empty Side pursue the kids and their merry gang in this holiday musical adventure for the entire family. The Cricket on The Hearth was first published in 1845. A cricket constantly chirps on the hearth and acts as a guardian angel to the Peerybingle family. The arrival of a mysterious stranger threatens to shatter this harmony. Does the cricket have supernatural powers? Does he restore faith and overcome suspicion? A masterful story of love and loyalty, The Cricket on The Hearth is effused with the spirit of the season. The Seven Poor Travellers was first published in 1854. On Christmas Eve, a traveling gentleman happens upon a house in a quaint little village, where over the door lies the inscription “Richard Watts, Esq. by his Will, dated 22 Aug. 1579,founded this Charity for Six poor Travellers, who not being ROGUES, or PROCTORS, May receive gratis for one Night, Lodging, Entertainment, and Fourpence each. He decides to treat the travelers staying at the house this Christmas Eve to a Christmas dinner and tells them a story around the fireplace about a soldier who finds the true meaning of forgiveness and redemption. 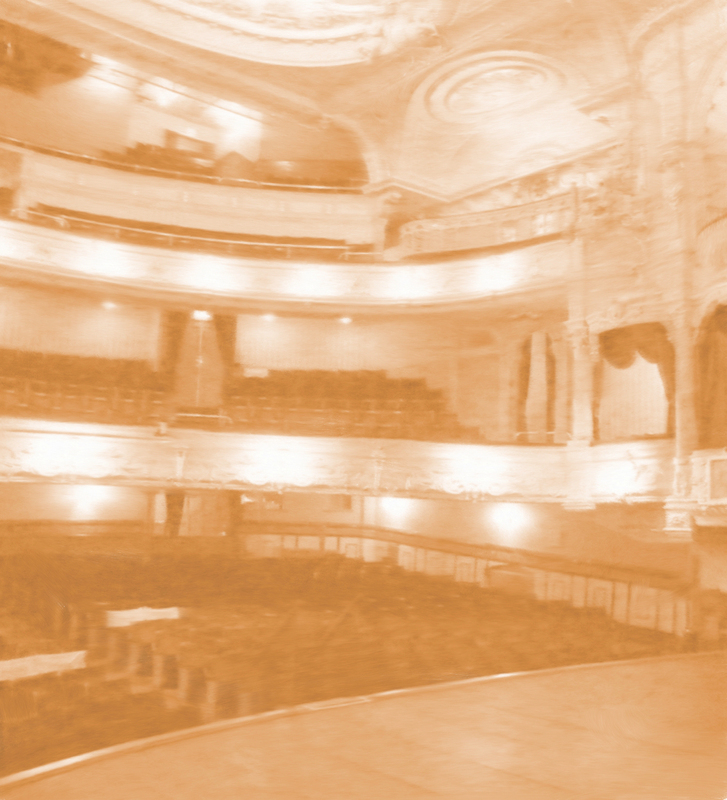 The Colonial Radio Theatre pulls out all the stops in this magnificent production of the Charles Dickens classic Christmas story! 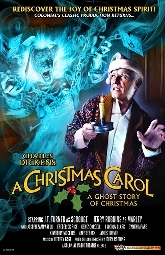 This full cast dramatization features a powerful music score — from the magnificent, booming opening of "God Rest Ye Merry Gentlemen," to the frightening tones of the Ghost of Christmas Future. 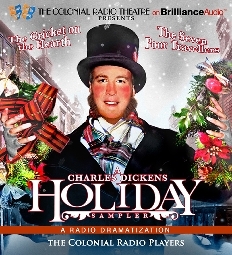 This Colonial Radio Theatre production has been broadcast yearly since 2005 on Sirius/XM Radio. A holiday treat both you and your family will enjoy for years to come. Toby Veck is a humble porter who has lost his faith in humanity. Then high up in a church steeple, where spiders spin their castles in the air, the spirit of the bells appear to take Toby on a New Year's Eve journey where he discovers all he has to be grateful for. The telephone line arrives in Clearmont, bringing with it modern ideas... such as Jacob and Matt deciding to try their hand at building an airplane. However, it is the Christmas season, which brings out the best and worst in people, especially where a new hat is concerned... but all that becomes trivial when tragedy strikes on Christmas Eve, and Britt's faith is shaken to the core. 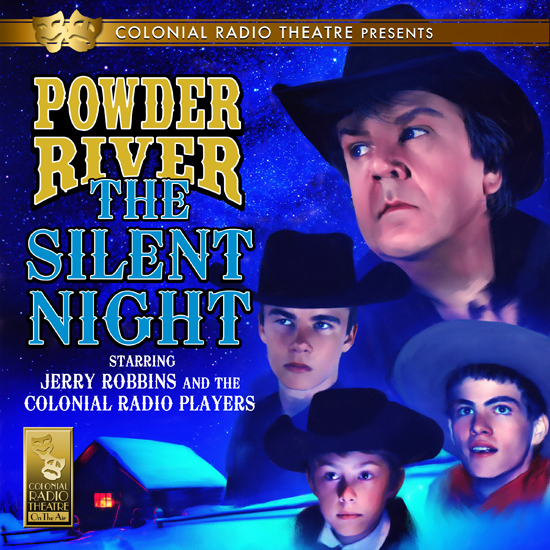 Powder River: The Silent Night is presented here as a feature length production, re-edited from a three episode story arc that was featured in season 6 of Colonial Radio Theatre's popular Powder River franchise. Powder River The Silent Night contains mild langue and western violence. Parental Discretion is advised. 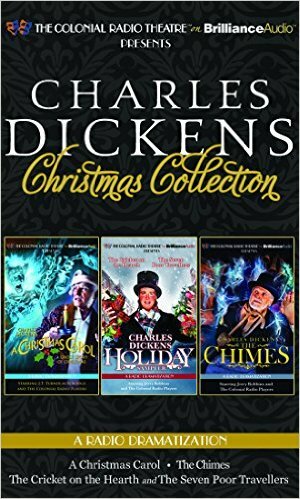 Four Christmas stories by the Great Charles Dickens are combined in this collectors set from Brilliance Audio. 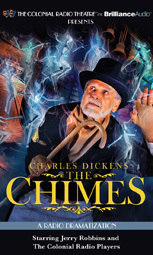 Includes A Christmas Carol, The Cricket On The Hearth, The Seven Poor Travellers, The Chimes.